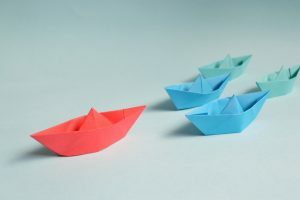 The Leadership Effectiveness Profile falls into the category I discussed in my last blog entry: Theories that did not spring directly from scripture, but are illuminated by natural revelation and supported by special revelation. The 8 competencies of the Leadership Effectiveness Profile were first discovered through research and observation. Emotional intelligence: our capacity to recognize, understand, and hardness our own feelings and the feelings of others. Contextual thinking: how well the individual links specific events, tasks and actions in a wider perspective or pattern. Directional clarity: the ability to identify a credible destination and clearly communicate to others how to get there. Creative assimilation: how well disparate information is drawn together to arrive at sound decisions or courses of action. Change orchestration: how well individuals anticipate and plan for future change, and help others to handle it well. People enablement: the extent to which an individual coaches and guides people to take an active interest in their own future. Reciprocal communication: how clearly individuals communicate, as well as the value they place on feedback. Driving persistence: the ability to stay on track and maintain a consistent focus on the target. 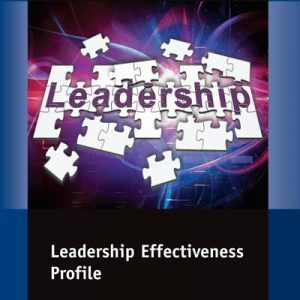 If you’d like to evaluate your own leadership skills in these areas, you can take the Leadership Effectiveness Profile. The profile can help you see where you are and give you some help on how to move forward. If you want to dig deeper into a particular areas, you can look at the Leadership Effectiveness Skill Builder Booklet and the Leadership Coaching Guide with Storyboard. Throughout the next eight blog entries, we’ll dig a little deeper to explore each of these 8 leadership competencies and see how they line up with scripture. Then we’ll point you to resources for growth that may be helpful to you.